I have been meaning to write this post for a while but I seem to be so busy recently I’ve barely had time to even think about it! If it were a few weeks ago I would have written it at the boyfriend’s house but his computer is broken so I left it. Anyway on topic. Reading and reviewing Million Dollar Mates the other week got me thinking about the books I read when I was a teenager. I mentioned a little in my review about the other books by the author of Million Dollar Mates, Cathy Hopkins, but really the main reason I liked them at the time was that the main character was called Lucy. I do remember quite vividly a scene with an inflatable bra in one of the stories, but I remember little else about them. Of course most regular readers of my blog will know about my Harry Potter obsession, and that was a big part of my time as a teenager, but I don’t want to talk about that I want to talk about the books aimed at teenagers which I still remember now. Jacqueline Wilson was my favourite author for a while while I was in Primary school (about aged 9/10) and I read all her books that were out then. I even remember writing to her and getting a lovely handwritten letter in return. I loved Jacqueline Wilson before it was the norm. The first Girls book, Girls in Love was release in paperback my first year in secondary school (11/12) and seemed a bit more mature for me to read as a teenager. I enjoyed it enough to buy the next, Girls Under Pressure, in hardback (which I rarely buy). And I remember liking Girls Out Late best. By the time Girls in Tears came out I had started reading more adult fiction (I think it was the chick-lit years) but my little sister was reading Jacqueline Wilson and she bought it. I couldn’t quite resist finding out what had happened with my 3 favourite girls, although I remember little of the story now. I must admit there is still a small part of my that wants to be Nadine, but I’m certainly more of an Ellie, and happy with that! This series of books were my favourite for years and years. The first book, The Shouting Wind follows a young woman during the second world war. Kay joins the WAAF and most of the book is focussed around what it was like to be a WAAF girl, although ultimately the book is a coming of age story. The next book, The Cliff Path, follows Abigail, Kay’s daughter and the story of her running away from home with her boyfriend. 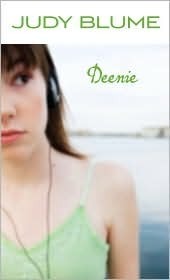 The third and final book, A Fear of Heights, follows Abigail’s daughter Tamsin as she leaves for university. The trilogy is basically a coming of age tale which follows three generations of the same family, while still keeping up with the generations from previous books. My favourite has always been The Shouting Wind, which is a fantastic story set around WW2, which was the main reason I picked it up. Unfortunately the series now seem to be out of print, it’s a real shame as I never had my own copies (I borrowed them from the library) and would love to own them. I read quite a few other Linda Newberry novels after these but never found anything quite as good, although her adult novel Set in Stone is well worth a read. How much did I love the girls in these series. They seemed to be so much that I was and so much I wanted to be all at the same time. As far as teenage issues these are probably a bit less believable than the Girls series, but that’s ok. I enjoyed all the different issues I could get my teeth into. I remember especially liking Tibby, although it probably helped that her storyline was the most moving. This is another series I finished off when I was too old for it and my sister was reading it which got me wondering. I’ve never seen the film but I would be interested in seeing how the adaptation goes. 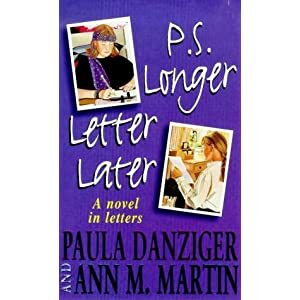 While writing this I found out Paula Danziger died in 2004. I don’t know how this passed me by for so long. Can honestly say I am shocked. What a sad loss. These books are what I imagined life as a teenager should be (but mine wasn’t). There was a certain element of me living vicariously by reading them. I must admit Georgia could be very annoying, but I also found the books hilarious so I put up with it. I think these are still being written, at the very least lots of them have come out since I stopped reading them, and even since my sister stopped. One of my overuling memories of this book is talking about ‘It’s okay I’m Wearing Really Big Knickers’ with my best friend and laughing when my Mum came in just as we were saying the title. I’ve never seen the film of this one either but I hear it’s not a good adaptation. When I talk about my love of books that make me think I always mention this one. It’s the first book I can remember that really made me think. Absolutely fantastic book I would recommend to anyone. 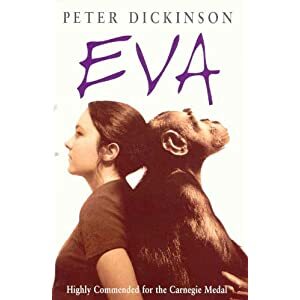 When Eva is involved in a horrific accident she is saved by having her brain transplanted into a chimp’s body. Inside Eva is the same but outside is completely different. This novel challenges views on animal rights, and scientific progress. How far would anyone go to save the life of a person they love? I can only find a copy of this on The Book Depository so am unsure if it is still in print or not. Special mentions go to The Teenage Worrier Books, Speak, The Point Teen Books (which I can’t find any information on but I read lots of). Where possible the editions I read have been used as images in this post. The books may be avaliable with different covers.